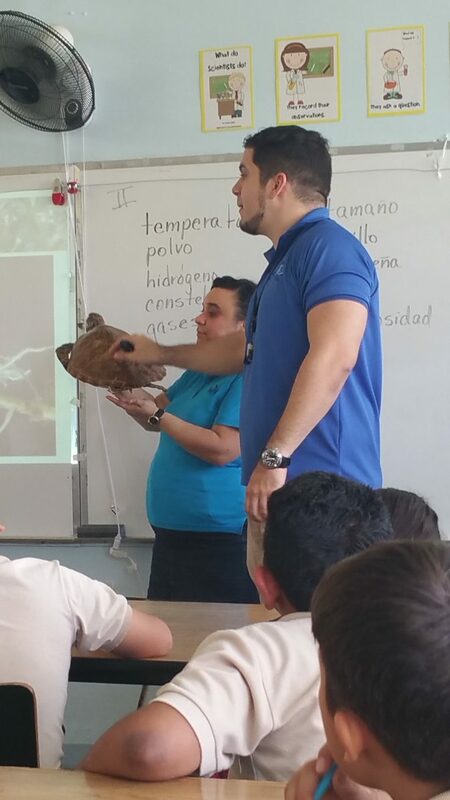 On Tuesday, February 9th, 2016, several educators from the Sea Grant Program offered a workshop about the marine ecosystems of Puerto Rico in the Ana Hernández Usera Elementary School in Salinas. 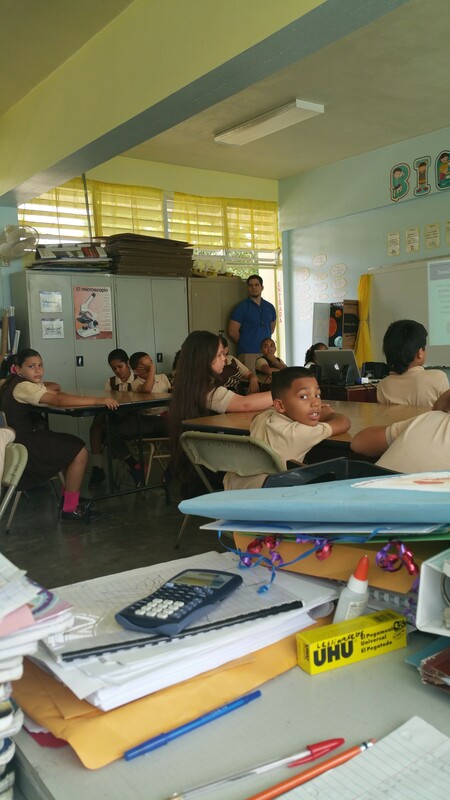 About 57 children, from fourth and fifth grade, participated in an interactive presentation regarding the mangrove forests, seagrass beds and coral reefs ecosystems. 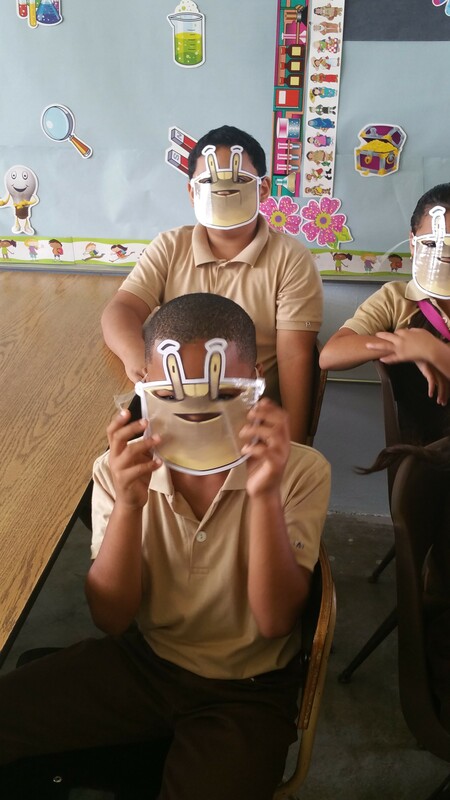 During the presentation, we read Pepe Uca’s Treasure to them, while several students showed off their acting skills. 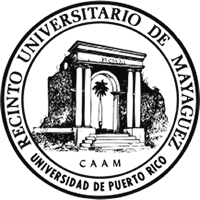 While they performed, they learned about mangrove tree zonation in Puerto Rico, as well as the necessary conditions for these specialized trees’ survival. They also played a game about the importance of seagrass beds. During the coral reef presentation, they were shown several pieces of corals so they could see their structure and form. 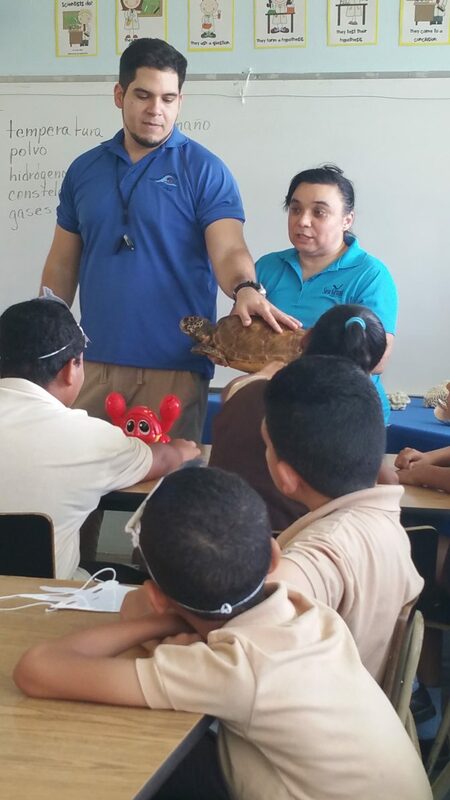 They also had the chance to observe the green and hawksbill sea turtles. 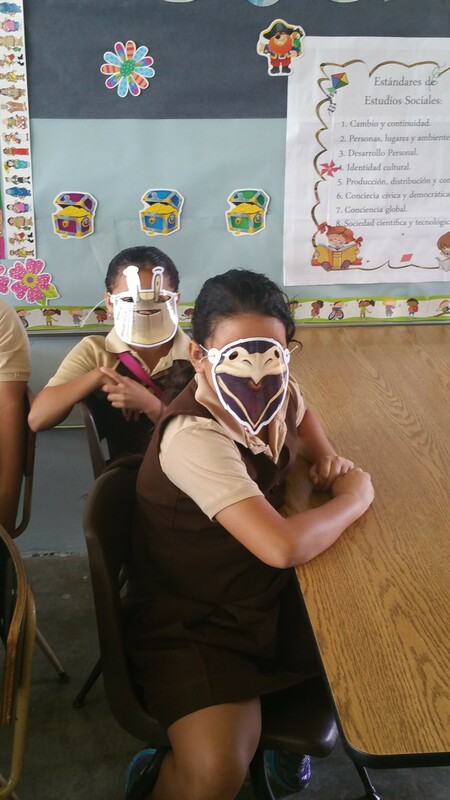 Students showed much knowledge about mangroves already, since their teacher, Prof. Maggie Rosas, had already taught them about the subject using our educational guide. But on the other hand, the students showed great interest in learning more about the other ecosystems under study that day and were very attentive and eager to closely observe everything we showed them, asking many questions to clear their doubts. During the fieldtrip, which took place on February 19th, 2016, students went to Playita Rosada to learn firsthand about the mangrove forest and seagrass bed ecosystems. There, they rotated through several stations prepared to teach them about several topics related to these ecosystems. 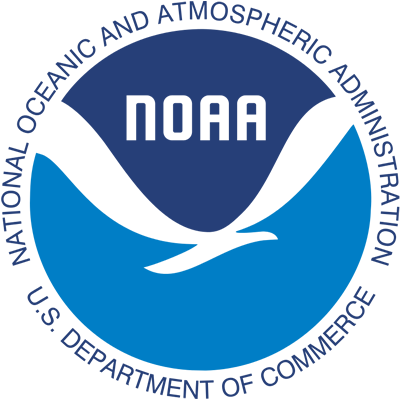 The stations were dedicated to mangrove forests, seagrass beds, water quality, sand composition and meteorology. The children showed themselves happy to be there and very interested in the activities on offer. They actively participated in each station and showed their knowledge gains.